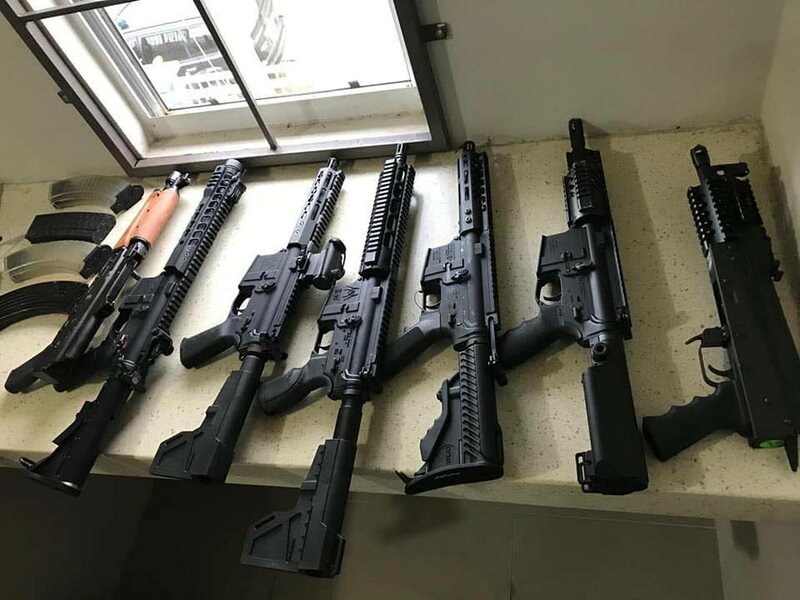 IATF police found a large cache of about ten high-powered rifles and a large quantity of marijuana at a house in Munroe Road, Cunupia, on Friday. Commissioner of Police Gary Griffth led the operation after 18 months of surveillance. AFTER 18 months of intelligence gathering, police have made a major drug bust at a house at Macaya Trace, Munroe Road, Central Trinidad during a sting operation which started on Thursday night and ended at 4 am today. 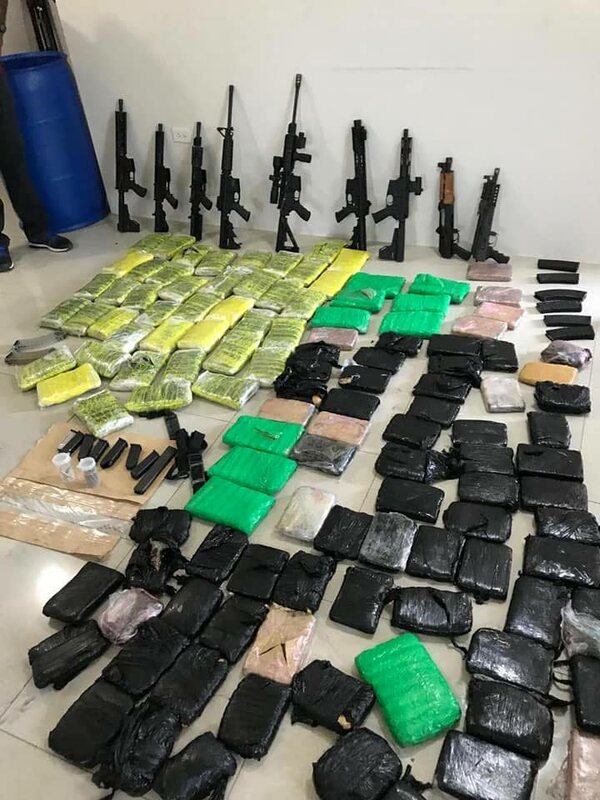 Commissioner of Police Gary Griffith who led a joint team of units from the special operations response team and the SSA confirmed they seized a massive quantity of illegal drugs and several automatic rifles which seemed to be new. Speaking on CNC3 Morning Brew earlier, Griffith confirmed that “a very high-profile person of interest” was detained and it is expected several warrants for the arrest of another individual will be executed later today. He said the canine unit will also be brought in to search the premise. Griffith said the sting operation was conducted on Thursday night from Carenage to La Brea after 18-months of intelligence gathering and monitoring persons of interest. 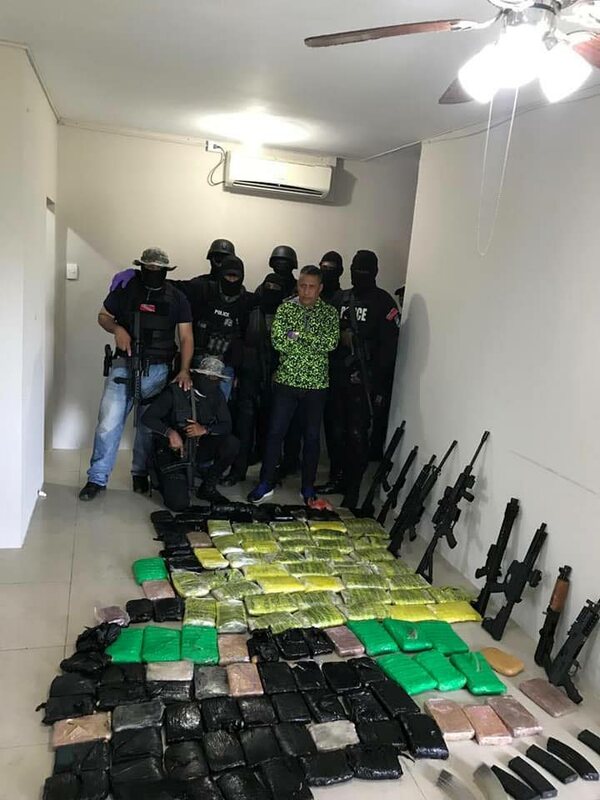 He said he hopes this can be one of the windows to crack the drug trade as well as individuals involved in the importation of illegal weapons. Meanwhile at Macaya Trace, the area is still under lockdown by heavily armed and masked police officers who have blocked off the street, checking out vehicles and occupants entering and exiting. At the same residents expressed shock at the police discovery. One resident told a Newsday team that this was a normally quiet neighbourhood although he expressed some consternation about the massive buildings which were going up in the area. The man said some nights ago, he did see a resident with a high-powered rifle, outfitted with a scope, conducting target practice with bottles. “This was weird, but other than that, this is a quiet neighbourhood,” the resident said. IATF police found a large cache of about 10 high-powered rifles and a quantity of marijuana at a house at Munroe Road, Cunupia, on Friday. Commissioner of Police Gary Griffith led the operation after 18 months of surveillance. Reply to "Major drug bust in central, prominent businessman detained"